The ways in which we build and nurture relationships are changing. We’re no longer expected to follow the tried and tested formula of marrying our first love, moving into a house down the street from our parents, and hanging out solely with the people we went to school with. Although those things do still happen, many of us are forging relationships in new ways using digital spaces. With dating apps like Tinder and Happn, we can potentially meet “the one” while scrolling on the sofa. We’re also setting up online companies from our phones, having board meetings on Skype, and finding our future business partners on Bumble. We’re even finding long-lost relatives by researching our DNA history on the world wide web. If you’ve made new friends on social media, that’s great! It really is a convenient way to find people with similar interests, who you may never have met otherwise. But how can you be certain that the people you meet on the internet are genuine? We all portray a slightly tweaked version of ourselves online, so much so that even our kids are learning how to do it from an early age. A recent survey showed that, in the past year, nearly half of children aged from eight to 17 have used a filter to make themselves look different. Almost a quarter said they don’t know how to control who sees their social media profile, and only half said they think before posting a personal photo or video online. No matter what age you are, you should be putting some serious thought into how you interact with strangers online. Are your social media profiles set to private? If you’re not sure, then you should do some quick checks before you start seeking connections online. Facebook and Instagram make profiles public by default, but you can choose who gets to see your information. The safest option is to only allow friends to view your posts, but make sure that your friend list is made up of people you trust. Internet safety experts Kaspersky found that some dating apps were particularly vulnerable to personal data breaches. They advise keeping personal data-sharing to a minimum, especially if you use dating apps. You should never put your full name, other social accounts, or email address on there. As an extra precaution, you should never access dating sites on unprotected Wi-Fi networks. This might seem obvious, but go back and check all of your profiles to see what information you’re already sharing. Many of us filled out the basics years ago, before we realised how the data could be used. Do you really want everyone knowing your hometown, job history, and current address? Remember this, too, when tagging yourself in certain locations. Do you really want people to know where you are at all times? For your own safety, take photographs and upload them later, once you’ve actually left the area. We’re all for making new friends online, but you should be aware that not everyone is who they make themselves out to be. Unfortunately, some people use the internet to prey on the vulnerable. If someone is making you uncomfortable – by asking too many personal questions, liking all of your posts, or asking for your address – you shouldn’t be afraid to block them. Another red flag is if your “friend” is watching your activity online closely and reporting back to you, almost as though they want you to know they are observing you. A good way to meet new friends is to go through an organisation which sets up events on behalf of its members. Bryony Gordon pioneered a group called Mental Health Mates, which runs monthly walks nationwide. Twitter is a good place to find local networking events in your area. You can also check libraries and community websites for writing groups, exercise classes, or volunteer projects. If you hit it off with a friend online and feel comfortable setting up a meeting, always choose the setting wisely. Meet in a public place, such as a shopping centre or a restaurant, with familiar and accessible transport links. Get someone to drop you off and pick you up at a specific time, or even better, ask a friend along, too. 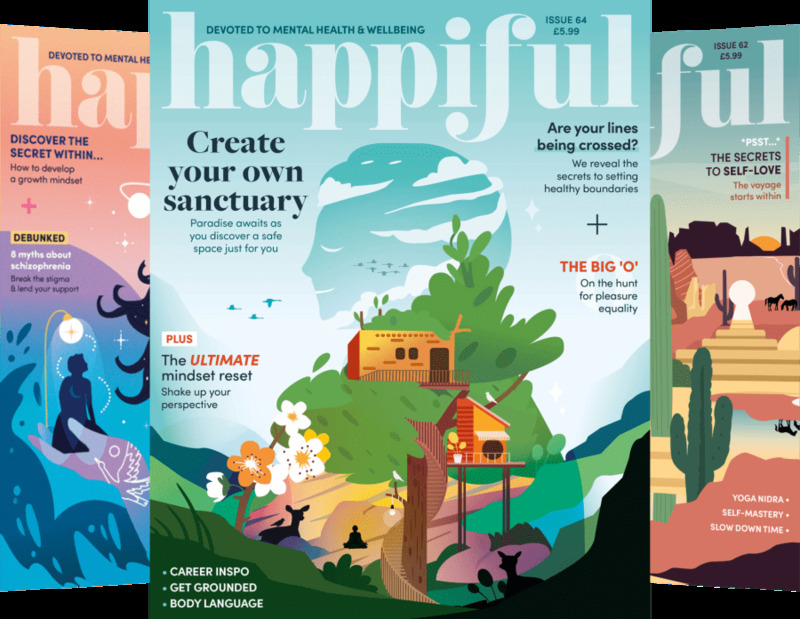 Fiona is a contributor to Happiful.